Why Open a Limited Company? Starting a business? There are many decisions you will have to face is deciding whether to open a business as a Sole Trader or open a Limited Company. If you are starting a new business on your own, then you will need a business structure that limits your liability. If you decide to open a Limited Company, this privately owned company will be registered at Companies House. Personal financial risk is lower than that of a Sole trader as you are not liable if the company does not succeed or runs into trouble. Hence your personal liability is minimised when you open a Limited company. Opening a Limited Company is not a difficult process especially when you use an Accountant or a specialist Company Formation Company. The process is outlined below and gives you an idea of what the professional service provider should do for you when they open a Limited Company. As mentioned all limited companies must be registered or ‘incorporated’, as it is called, with Companies House. Registration – an Accountant or a Company formation Agent can be used to register and open a Limited company with Companies House. You will need to choose a company name that does not already exist. An address for the company must be a valid business address. Incorporation – once your details as director and the Companies details are registered with Companies House you will be given a Company Number and registration Certificate. Remember that there must be at least one director and one shareholder. An agreement of all shareholders to create the company known as a ‘memorandum of association’ is also needs to be provided. A ‘Statement of Capital’ details the company’s shares and the rights attached to each shareholder must also be made available to you. The ‘Articles of Association’ details how the company will be run by its director and shareholders even if they are one and the same. Companies Act 2006 – One director must exist and they may also be the shareholder as mentioned above. The director is responsible for complying with all administration and statutory obligations. 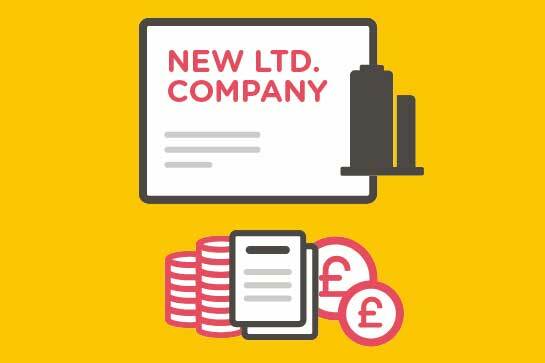 When the company is legally registered, a ‘Certificate of Incorporation’ will be sent to your business address , this is proof that the newly formed limited company legally exists. It will show your company number and date of its formation. A Limited Company must submit Annual Accounts, Corporation Tax returns and VAT returns preferably with an Accountant. This must be submitted on time or penalties will be incurred. HMRC (HM revenue and Customs) will need specific information about your company with 3 months of starting to trade and you will be penalised if you do not let them know. HMRC will then work out when your Limited company must pay Corporation Tax for the first time and you will receive a Unique Taxpayer reference to you business registered address. The Costs of running a Limited Company are greater because of the administration involved and the responsibility that comes from submitting the correct information in a timely manner is very important when running a Limited Company. As Director it is highly advised that the advice and services of a professional Accountant should be employed so as to avoid penalties and fines from Companies House. As Director and Shareholder – a Director of a company has obligations to ensure that all these Statutory Obligations are adhered to at all times. For advice and expertise in opening a limited company or help with any administration requirements for an existing Limited Company please contact Fusion Accountants London.